You may have heard that several members of AC/DC have been spotted at Vancouver’s Warehouse Studio, leading to speculation that they’re recording a new album here. 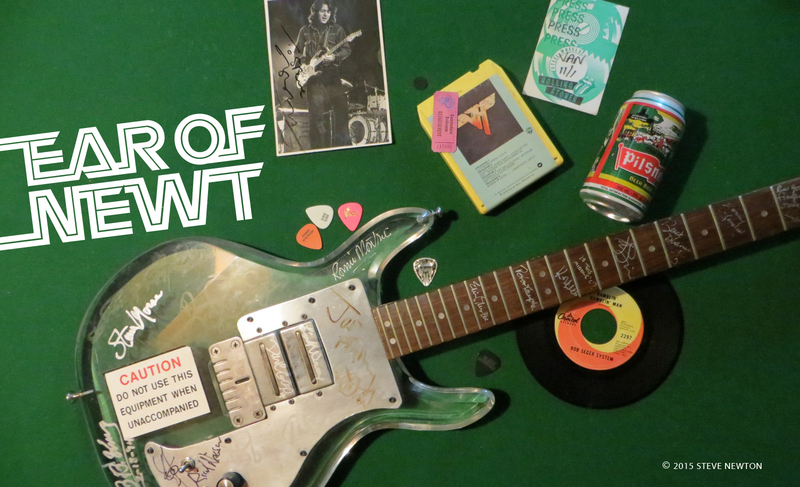 It all started when I got a call from one of my rock ‘n’ roll sources on the street, saying he’d seen Phil Rudd and Stevie Young downtown, and spoken with them briefly. Soon after I was contacted by Glenn Slavens and Crystal Lambert, big AC/DC fans who wanted to share some of the photos they’d accumulated, with Slavens shooting from Lambert’s Gastown apartment. The doozy was a shot of Brian Johnson with Rudd, which set off a firestorm of rumours that they were both back with the band. Followup photos of Angus Young lighting Stevie’s smoke, and mixer-engineer Mike Fraser hanging with Johnson and Rudd, fueled the fire. One of the locals most thrilled to hear about the Aussie earbusters setting up shop is drummer Pat Steward, who’s currently a member of Vancouver pop-rock legends Odds and riff-driven hard-rockers Cobra Ramone. He is also known for playing drums on Bryan Adams’ multiplatinum Reckless album of 1984. That’s him wailing away behind the kit in the official videos for “Kids Wanna Rock” and “Summer of ’69”. Steward has been a fan of Rudd’s drumming since a high-school friend in Powell River played him the 1978 Powerage album (which also happens to be the late Malcolm Young’s fave AC/DC disc). 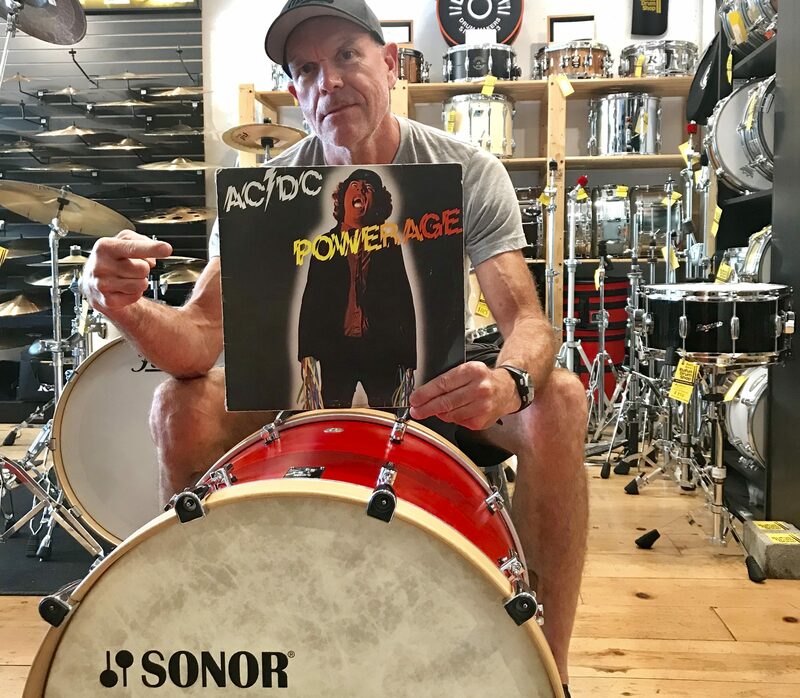 Steward’s infatuation with the sound of ’70s AC/DC has led him to become a devotee of the Sonor drums brand. 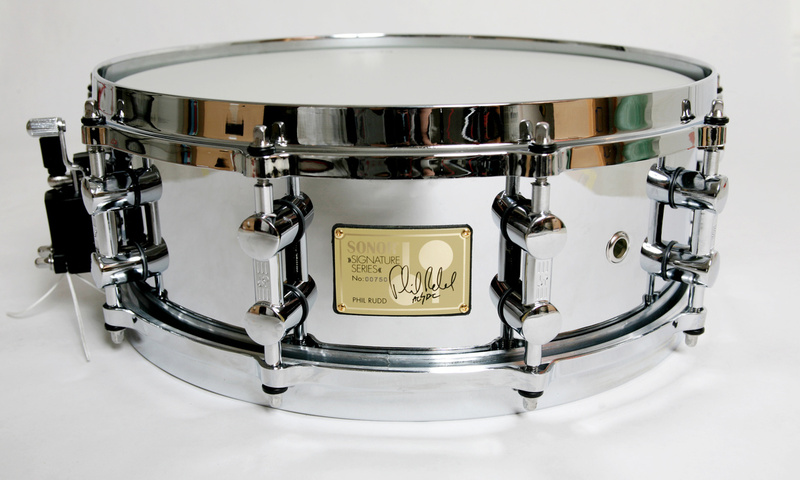 He’s endorsed by the German company, and even owns a Sonor Phil Rudd Signature Snare Drum. Considering Steward’s proven professional abilities and keen knowledge of Rudd’s drum sound, I had one more question for him. If AC/DC are indeed recording here, and if Rudd were to get sick or have some sort of mysterious “accident” that prevented him from recording, would Steward be willing to sit in? He laughs off the tongue-in-cheek query, pretty much. ← AC/DC in Vancouver: Mike Fraser spotted with Brian Johnson and Phil Rudd, maybe calling Cliff Williams on his phone?